With so many garden sheds on the market it can be hard to choose the right one for your needs. Our easy to follow guide for buying a garden shed will help you decide on the perfect shed to suit you and your garden! Garden sheds have multiple uses, including storing household clutter and garden maintenance equipment, or being a place to carry out DIY projects or hobbies. 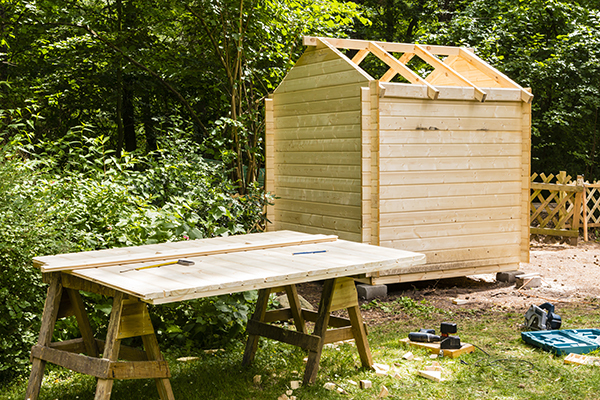 Here are 4 quick tips to consider before you buy a garden shed. The size of your shed largely depends on two factors: intended use and space available. If you are planning on storing a few gardening items and some household clutter, then a 6’ x 4’ garden shed would be sufficient. If you are planning on storing a lawnmower and some bicycles, then opt for a larger 8’ x 6’shed. A 10’x10’ shed is ideal for people who are planning on using it for DIY projects or hobbies. Top Tip: If you’re in doubt about the size you need and you have enough room in your garden, opt for a larger size shed, as it’s always best to have too much space than too little. 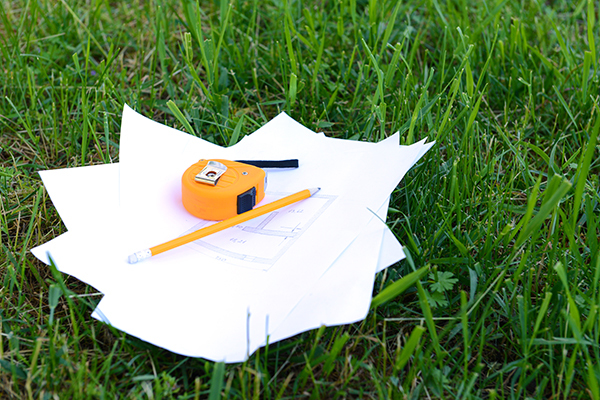 Make sure to measure the area you have available in your garden, the last thing you want is to buy a shed and to find out when you get home it’s too big! When measuring, take into account the overhang of the shed roof and the room needed for the shed door opening. Make sure to leave enough space around the shed to walk, as you will need to access all sides of the shed for regular maintenance. When buying a shed you will have to choose from a selection of materials such as; wood, metal and plastic. We have put together a list of materials, explaining their benefits and drawbacks, to help you choose the right shed for your needs. Wooden Shed: wooden sheds have long been a common feature in Irish gardens, with a traditional style that helps it blend into the garden environment. Unlike metal or plastic sheds, wooden sheds are not susceptible to condensation, making then ideal for storing items such as seeds. Wood will need to be treated annually with a wood paint or preservative. Metal Shed: metal sheds are good at standing up to bad weather and will not swell or warp in warm or cold weather. These structures will need little or no maintenance after it has been erected. Metal sheds will need nothing more than a quick hose down every once in a while to maintain a clean appearance. Plastic Shed: small plastic sheds are a recent entry to the market and have become a popular choice with homeowners as they are relatively easy to assemble and maintain. Plastic sheds tend not to be as stylish as wooden sheds and don’t allow for a change of colour with paint. Plastic will need very little maintenance to keep it in prime condition. Apex Roof Shed: this style of shed is very popular in Ireland. It has a central ridge with sloping sides. This style is traditional, robust and will suit most gardens. Pent Roof Sheds: this shed has a single sloping roof that allows rainwater to run off. This style of shed provides generous headroom and is ideally situated against a wall or fence. The building cannot extend out in front of the building line of the house. It cannot exceed 4 metres in height if it has a tiled or slated pitched roof or 3 metres if it has any other roof type. The floor area limitation for exempted development is 25 square metres. The structure may not be lived in or used for commercial purposes. Now that you know all you need to know about garden sheds, pop down to your local Topline store to view our range of sheds or talk to the staff about your requirement. If you already have a shed but need some ideas for storage, check out our 10 Simple Shed Storage & Organisation Ideas.